The Statue of Liberty has been standing in the New York harbor for a LONG time! I thought she might need a rest. 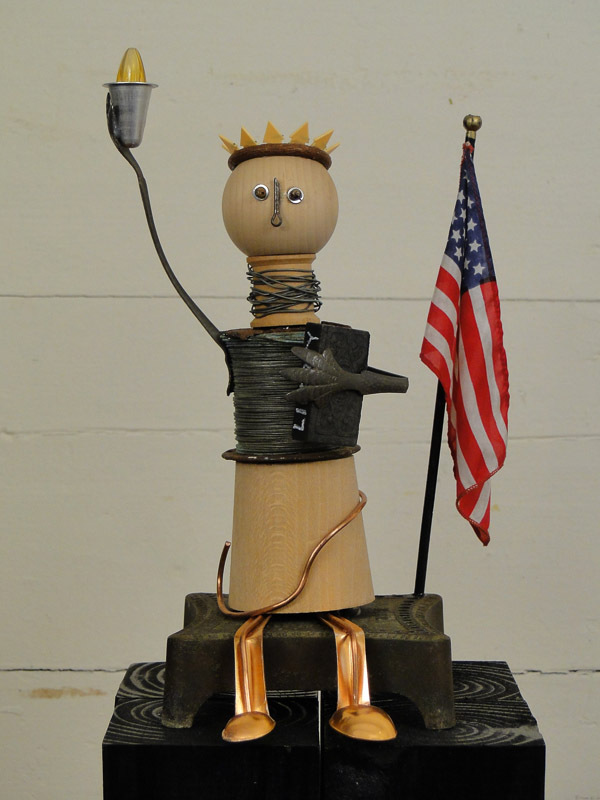 She's made from a drill bit holder, copper measuring spoons, an old roll of copper wire, a cotton mill spool, ice tongs, a domino, a cake icing decorator tip, a Christmas light, a cotter pin, metal beads, washers, arrow map pins, and, of course, the American flag.